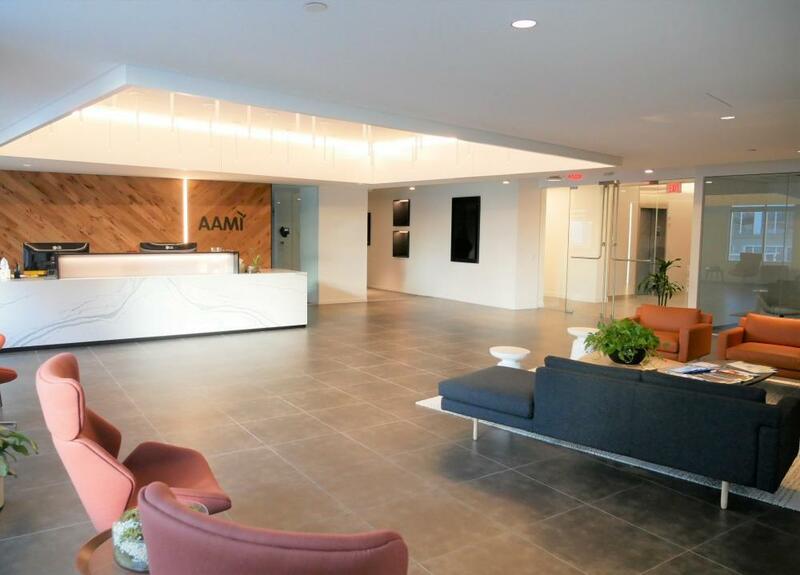 Located in the heart of Arlington, VA, the AAMI Conference Center is a new state-of-the-art meeting facility located just a stone’s throw away from downtown DC. 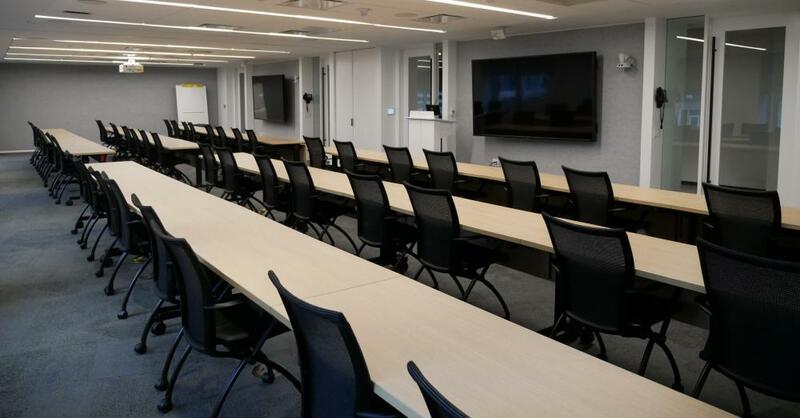 Easily accessible from the Ballston Metro, Glebe Rd and Rt. 66, the Conference Center houses the AAMI Center for Excellence and is available to rent for corporate, association and government events. 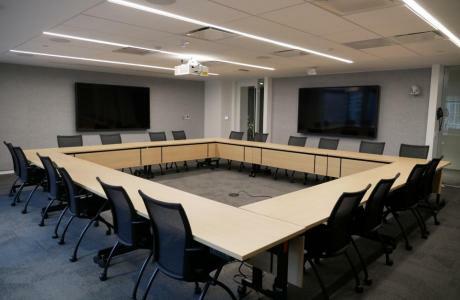 • Two large meeting rooms that can be divided, if needed, into 6 smaller conference spaces. • All the amenities that you will need for your next event. 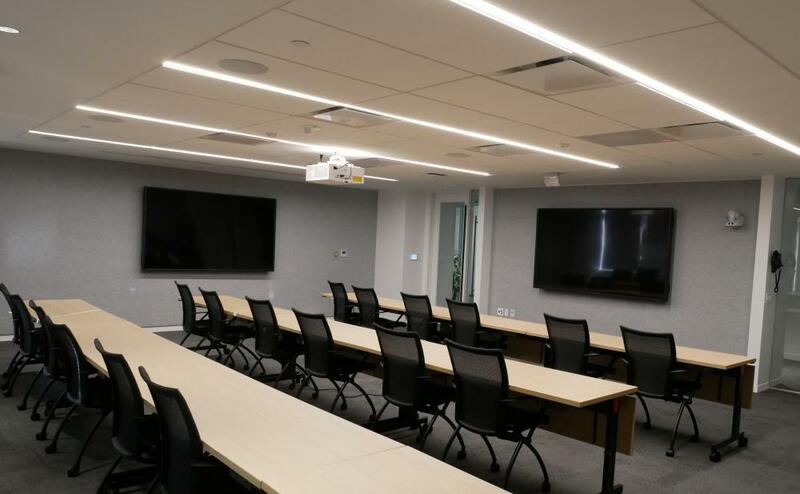 • The newest high-tech audio and video equipment including ceiling mounted LCD projectors, wall mounted LCD monitors, in ceiling and wireless microphones, wireless internet, audio/video recording capabilities and the ability to live stream events. • 200 people for theater seating. 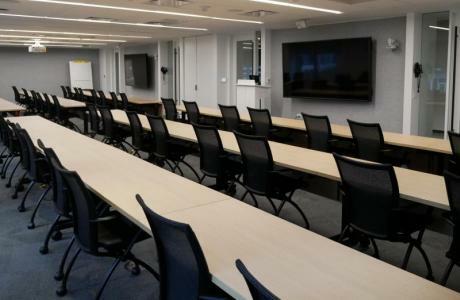 Along with the Harken we also have the Laufman and Greatbatch rooms that can be used as one large room or separated into two smaller rooms. Centrally located in the Ballston area of Arlington we are a few blocks from the Ballston Metro and are a close 4-mile drive from Ronald Reagan Washington National Airport. We are also within walking distance of the Ballston Commons Mall and several area hotels restaurants and entertainment venues. $900 - $2100 dependant on room booked. 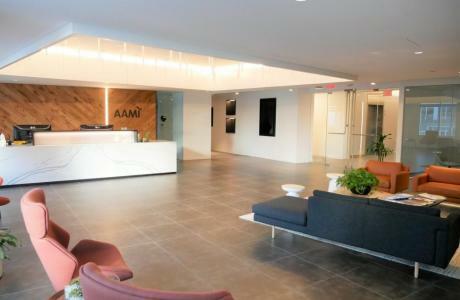 The AAMI Confernce Center offers onsite coffee service for guests at an additonal fee. If a basic continental breakfast or lunch is needed we have a number of nearby restaurants that you can order from for this type of catering. We also have a list of preferred caterers that you can choose from if you require more upscale catering to include a wait staff person to be onsite during events. The memorial itself is nice, and the view of DC is one of the best we’ve ever seen. Take the 24P bus towards the Pentagon from the Ballston Metro Station. Or, take N. Glebe Road south to Columbia Pike, turn left. The memorial will be visible on Columbia Pike, near Arlington Cemetery and before the Pentagon. The United States Marine Corps War Memorial represents this nation's gratitude to Marines and those who have fought beside them. When you visit the Smithsonian, you’re entering the world’s largest museum, education, and research complex, with approximately 154 million artifacts and specimens in its trust for the American people. The National mall is the location of many museums and mounuments and is a must see for any visitor. The Kennedy Center Millennium Stage has a free, hour-long performance starting at 6:00 every night. The Village at Shirlington. Take I-395 to the Shirlington exit. Just ¼ mile from exit. Good stadium seating with a convenient location - better than watching HBO in your hotel room!